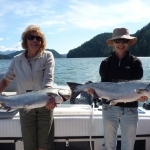 WHY BOOK YOUR SALMON FISHING CHARTER WITH US! 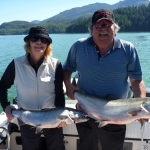 23 years guiding experience and a lifetime of Salmon, Steelhead and Trout fishing experience. 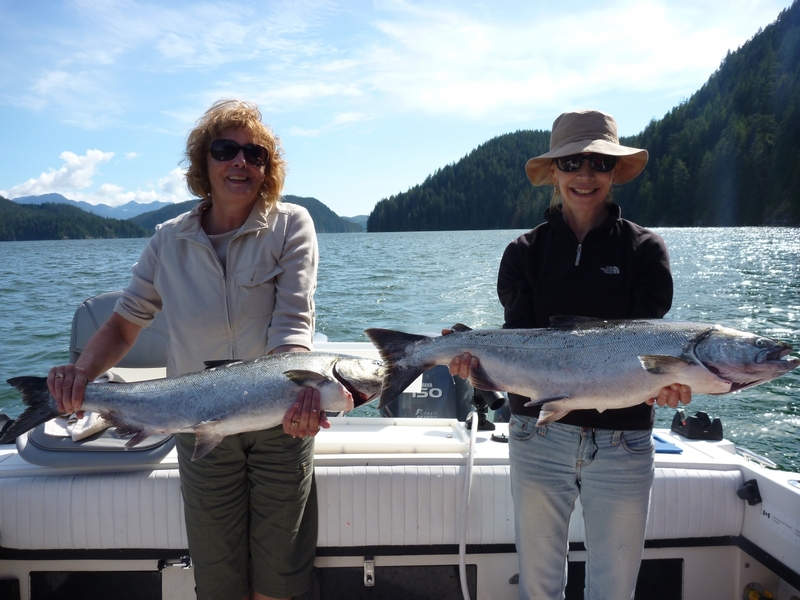 Family has been in the Guided Salmon fishing charter business 40 years. All required safety training and equipment. 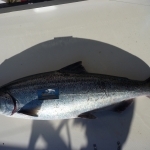 Fully Licensed and insured for guided Campbell River Salmon fishing charters. Passionate about Campbell River Salmon Fishing This isn’t just a job it’s a way of life. Have explored many remote areas to offer guests a more remote quite relaxing Salmon catching experience. With more sightings of wildlife and breath taking scenery. 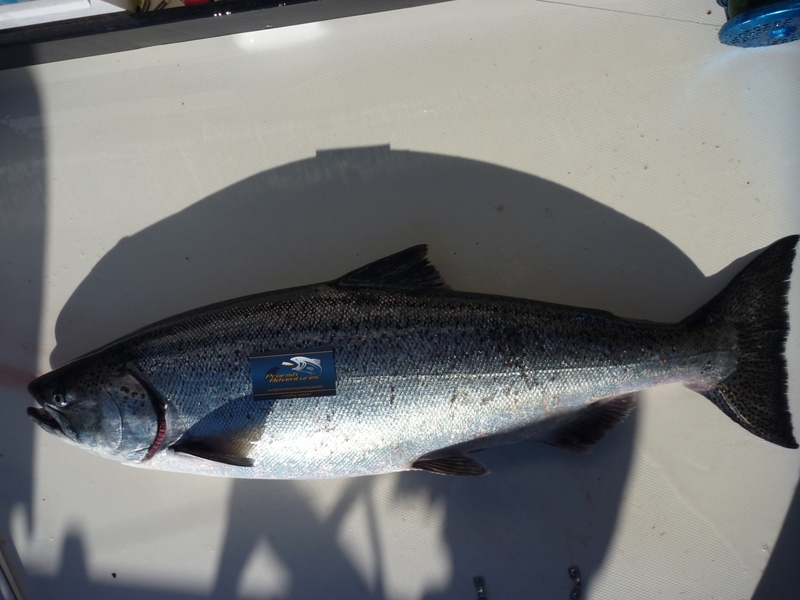 We have designed an onboard Salmon cleaning station to keep your prized Campbell River Salmon as fresh as it can be. Your Salmon is immediately bled put on ice then dressed to offer you the guest the best finished product possible. This is a must. Our Vessels are equipped with onboard heaters With full enclosure for those chilly mornings and west coast days. We have equipped our Campbell River Charter fishing boat with a rear steering station and controls so we are back were the action is to make quick adjustments to our lines and to give our guests more comfortable out of the weather seating and I’m able to face everyone to engage in conversation. Having a rear steering station is an added safety feature. If you ever lost main steering or throttle the boat can be operated from the stern. Our 24 Ft Grady white is equipped with Twin Yamaha f150 four stroke outboards. 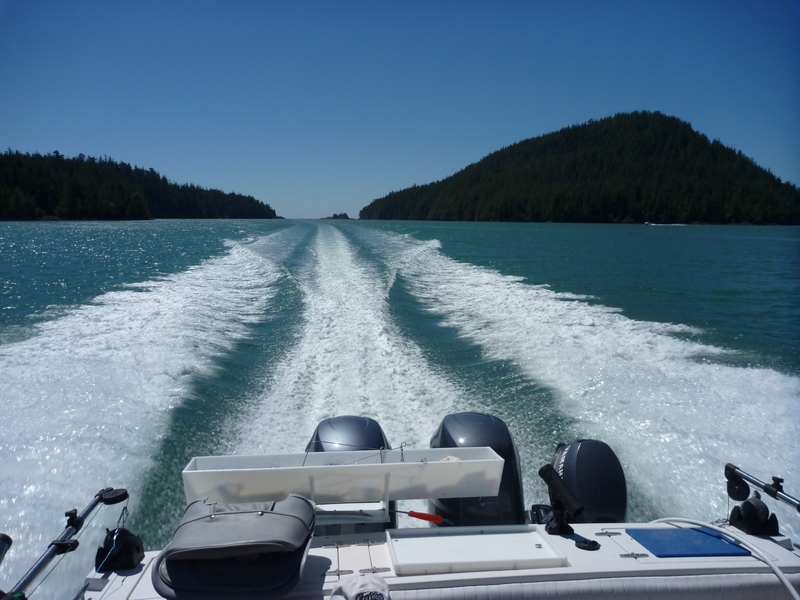 We offer Twin motors for safety, reliability and performance we get to and from the fishing grounds fast, safe and comfortable. Our trolling motor is a 9.9 Yamaha four-stroke for a quite, smoke free salmon fishing environment. We run the new high Performance Scotty down riggers to get you’re salmon fishing gear up and back down quickly!! 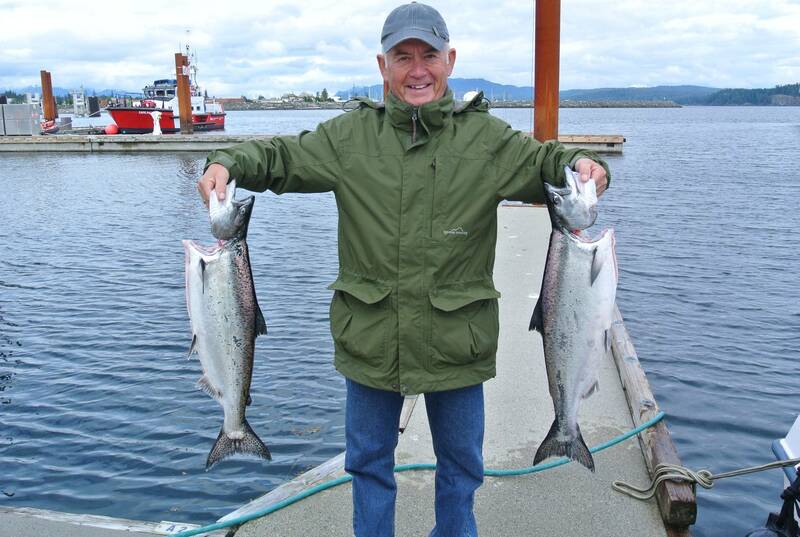 the more time your lines in the water the more Salmon you will catch. Custom high back comfortable seats. Being a father of three I love showing kids the experience of Sport fishing and all the great sites on the water. Get along well with everyone on the water. 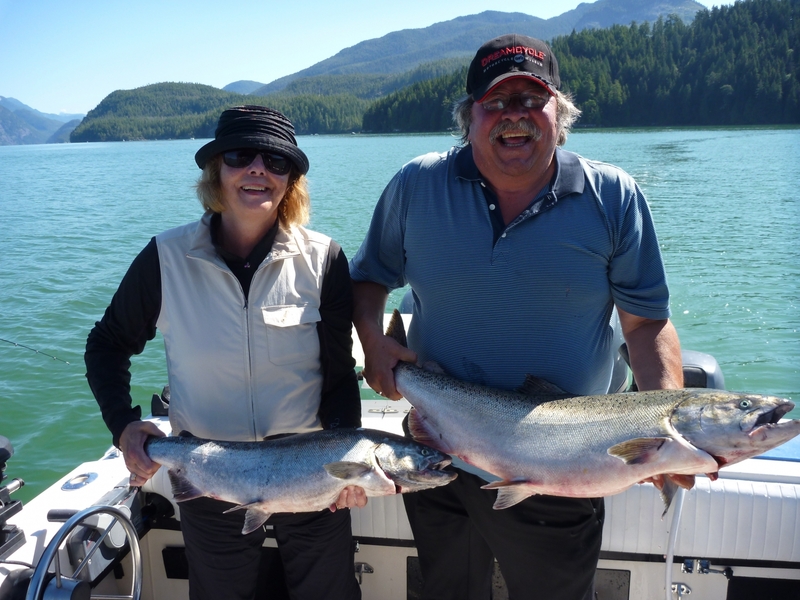 Our guides are professional, patient, courteous, fun fishing guides with proven fish catching track records. Not afraid to travel to where the fish are!! Catching you fish and making sure your adventure is a success is our number 1 priority. Our guests always comment on how clean, organized and well setup our boats are. We are a very environmentally friendly company using only the most environmentally friendly products, and fuel efficient motors to reduce our carbon foot print. Actively involved in Salmon Enhancement and volunteering to ensure the future of salmon, Steelhead and Trout, and to give back to the resource not just take. We are ethical and professional with every aspect of the resource and environment in mind. Thanks again for a great couple days – Dave and I enjoyed the fishing but enjoyed your company just as much – keep smiling and doing what you do. You have a couple new friends. Cristina and I to thank you for an awesome afternoon yesterday. Not only you were a great fish host, but the best gourmet and trecking adviser. Just wanted to re-state how much we enjoyed fishing with you in such an amazing evening. 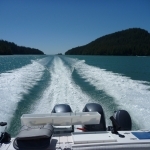 We’ll certainly direct you to those that land in Campbell River for fishing, As well as will keep in mind the rafting challenge for March next year. Just wanted to thank you for a great day of fishing David. Here is my happy man! Call Dave for your charter needs, we went with him back in May. He’s easily the best in town. If you need a fourth when you go, remember your ol buddy Mitch. Gerry and I are home now and were so thrilled to have been out fishing with you. Thanks for such a memorable fishing excursion. We look forward to receiving our salmon and sharing our fishing adventures for a long time!! Who know, we may be back and would also try the pinks at Elk Falls; we watched that afternoon. Wow; sure looked like fun. Take care; thanks very much. Hope the balance of your season was successful and that you’re looking forward to some down time. It was a great experience joining up with you for our excursions and I hope that we can repeat this again next year. Last summer my Dad and I booked a half day charter with David and had a great time. My parents are coming back to BC in October this year so I’m wondering if anything is in season then and if I’d be able to book a charter again? Awesome Trip With Profish Adventures Lot’s of and laughs will be back. Thank you for the great Trip David!! We have fished with many guides!! None of which have given us the experience you have. Just though we would let you know our Corporate fishing trip in the Queen Charlottes was a bit of a bust. 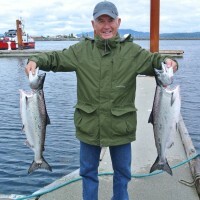 The weather was foul and the fishing wasn’t as good as in Campbell River with you in July. Look forward to fishing with you again in 2011. Thanks for the great fishing adventure in Campbell River every one caught tons of fish and enjoyed your company. We will be back next year. Thanks for the day of fishing last Saturday. My Dad and I had a great time.. probably a better time than the seal we chased around. I wondered if you had had a chance to check your calendar for another day between the 30th of August and the 2nd of September.. do any of those days work? Let me know. I look forward to seeing you again. Again, thanks for the day! All the best. Hi, Tommy Wright from Scotland here. We would like to say hi and thanks for a few great days fishing…my son Tommy caught a great 28 pound Salmon…and has been showing everyone!… Cheers. Thanks again for an amazing job on guiding us to the slab-fest! We had a great time, and will definitely be back again next year to feed ’em some more delicious chove-dawgs! I have attached some pictures of our catch, as promised!